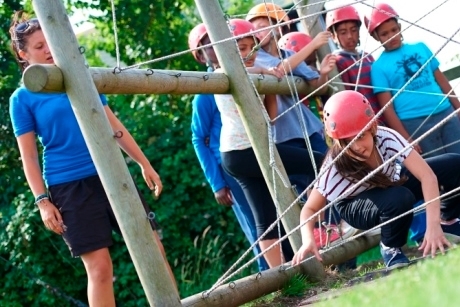 Outdoor education specialist, Essex Outdoors, has been awarded a £2million investment to improve the educational facilities across its visitor centres. There are four Essex Outdoors centres – in Bradwell, Danbury, Harlow and Mersea – and each will have changes made in order to offer school groups an improved educational programme. The money will increase residential capacity and facilities at three of the four Essex Outdoors centres; new lodges will be built at Mersea and Danbury and tented accommodation provided at Bradwell. Bradwell, Danbury and Mersea will also receive funding to create extra activity stations and purchase new equipment, thus increasing the range of activities on offer to visitors. A number of new and improved activities will also be available to school groups following the investment, and will be available across the centres from April. Archery will be improved at Bradwell, while a brand new indoor archery range will be built at Mersea. The Mersea and Danbury sites will welcome new caving systems to facilitate the activity of caving, during which pupils can test their physical and mental strength. Three new yachts will be arriving at Bradwell ready for next summer, while paddle boarding will be introduced at the Danbury site. Danbury will also welcome a vertical obstacle course, while a swing challenge called the ‘team swing’ will open at Mersea. Orienteering, bouldering and toylanders – a challenge to build an electronic car – are other activities that will be either included or improved at some of the centres. The investment in Essex Outdoors sits alongside a move for the service into the portfolio of school support services offered by school support organisation EES for Schools. This move will allow Essex Outdoors to develop its offer to specifically meet school curriculum needs and enhance learning experiences. Richard Boughey, director of EES for Schools, said: “Outdoor education makes a valuable contribution towards curricular and non-curricular outcomes in schools and academies and recent evidence shows the potential for increased educational attainment and personal development. For further information visit www.essexoutdoors.com.